One part of folding clothes that drives me crazy is matching Ron’s socks. He lives in white athletics socks except on Sunday mornings when he wears dress shoes to church. Anyway, he buys a new package of socks a few times a year and he buys what’s on sale so he switches brands regularly. Matching all the different white socks with different color thread at the toe or a grey heal drives me insane. When I was asked to review the SockSync Sock Sorter I thought it was a bit silly, but I agreed to give it a try. Ergonomic Design: SockSync is lightweight and ergonomically designed to perfectly fit into your laundry day routine. It features a combination of a laundry basket and a spinning top, aka Spinner. 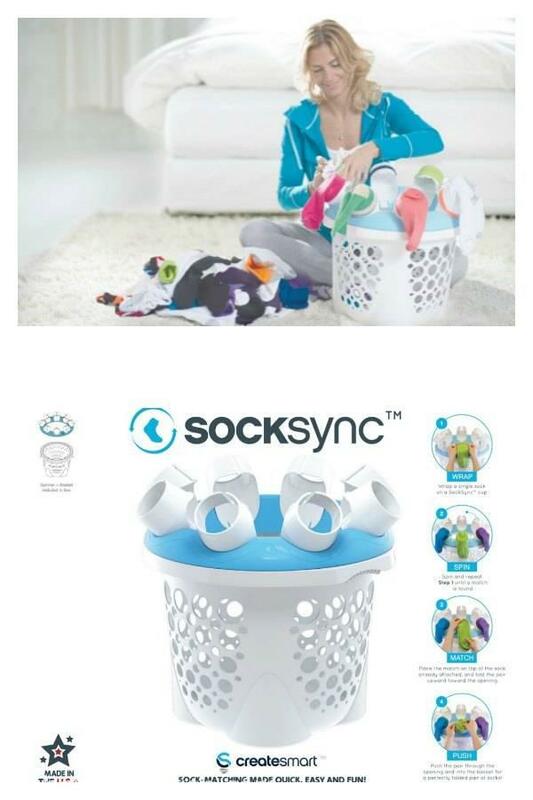 The Spinner houses eight cylindrical openings, the SockSync Cups, that are designed to perfectly fold a pair of socks and positioned to drop them right into the basket. Quick, easy, and fun to use: The spinning feature makes it effortless to scroll through the single socks as you search for their match. Once a match is found you simply push the pair together into and through the opening, which folds the pair and drops them into the basket. After the spinning and matching is done, you’ll have a basket full of paired and perfectly folded socks ready to be put up. SockSync makes sock matching quick, easy and even fun! Laundry basket included: The Spinner is removable. Once you’re done matching the socks, you can take it off and use the basket as a traditional laundry container or to store the folded socks in. One of a kind: SockSync is the first and only product that provides a patented solution to the hassle of sock sorting & matching. There’s nothing out there like it! Innovation Award finalit: The International Housewares Association (IHA) has nominated SockSync as an Innovation Award finalist. SockSync was also featured on the NBC Today Show along with several other media platforms. I used the SockSync to match and fold all of our socks last week and I have to admit, it has merit. I don’t personally need this item, since there are going to be only 2 of us at home in just a few weeks, but this would be perfect for a mom who is matching socks for the whole family. If I had this when my kids were young I can see making a game out of who can find the match and then they “get to” fold it up and push it through! 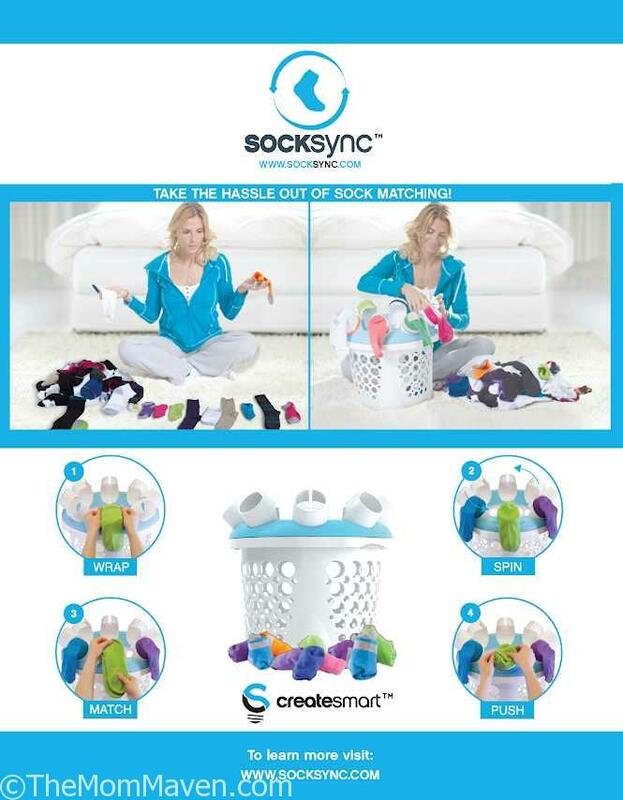 Order your SockSync Sock Sorter today!